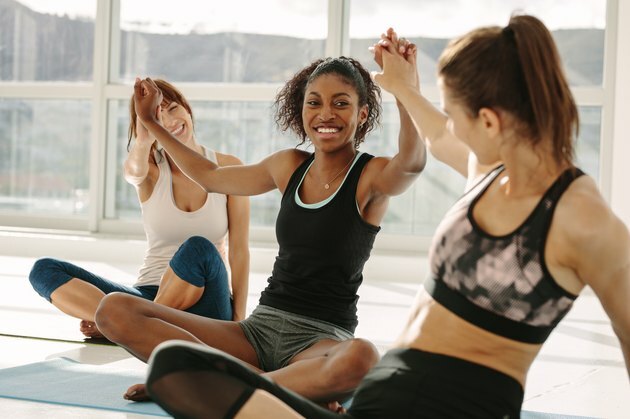 Together with Athleta, we're compiling actionable wellness advice you need from the experts—and Well+Good is bringing it to life all year long at events in NYC. Here, Elisa Shankle, co-founder of HealHaus, shares her four-week guide to building a community within wellness. It's no secret that forming strong, long-lasting friendships as an adult isn't easy. Your school days are over, you've maybe moved to a new city, and you're no longer surrounded by people who immediately love all the same things you do. That's where wellness can come in—if you let it. Obsessed with yoga? Hiking? That new plant-based restaurant that opened up down the street? Those are the spots where you can find your people, which is more important than you think. Without taking time to build a support group, lack of community can actually take a toll on your physical and mental health. "There is only so much we can do alone, and then we must seek help in order to continue to heal and evolve on a deeper level to promote overall well-being," says Elisa Shankle, co-founder of HealHaus, a wellness space in Brooklyn. And she knows from first-hand experience. "My tribe is super strong, and it really became apparent that it takes a village when I lost my brother two years ago," says Shankle. "When managing being in a vulnerable position such as that, you're forced to acknowledge I can't do this alone and ask for help." When you have a strong group of supporters cheering you on through all the highs and lows, it can make a huge difference with your personal growth, something Shankle is an expert in. "Our mission at HealHaus is to make healing not just something someone tries once, but integrates into their day-to-day. We truly believe healing is a lifestyle and are committed to shifting the culture around wellness to make it more accessible, inclusive, and modern." We asked Shankle to share four actionable ways you can start building your own community of friends—so what are you waiting for? Before you can start building connections with other people, you need a firm grasp on what's going on with you. "I always say awareness is the first step as a newcomer to start inquiring within and with others to start understanding what works for you," Shankle says. Once you're more in tune with yourself, you're in a position to brainstorm what it is you're looking for in other people. "Wellness is not one size fits all, and what may be good for you, may not be for someone else," Shankle says. After a little self-reflection, you're fine-tuned to find the type of friends that you want by your side in your wellness journey. Shankle notes that people tend to respond better to you when you're truly authentic. So, before you start on the grind of friend-searching, make sure you're putting out vibes that match who you are—not just what you think other people want from you. "It's easy to get trapped in our minds and feel like we have it all together, or that we don't have enough," Shankle says. It's not always easy expressing yourself, but now's the time to practice some extra self-love. You already know who you are, it's just being able to put all that info outward—and while it might be cringe-worthy at first, the benefits are so worth it. Now's the time to take some action. 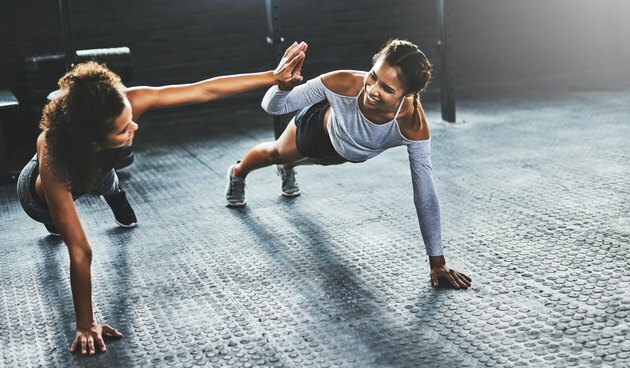 Shankle suggests interacting with those you normally might not—whether it's simply responding to someone's Facebook post you usually scroll on by or chatting after a workout. Once you open up, you'll find you're not the only one who feels awkward hanging around the gym water-bottle filling station—you just need to break the ice. "Try things that resonate with you, and don't be hard on yourself," Shankle says. And events (especially ones that are community-focused) are the ideal spots to network with people who are all looking for the same thing: A new, meaningful community. Plus, you can use social media as a tool to educate you on these kinds of meet-ups. Take this as an opportunity to follow your local spin studio or go-to coffee shop on Instagram for upcoming experiences. Join local message boards and Facebook groups and bookmark their events pages. Seek out community groups that post upcoming happenings (like Conscious City Guide). Then, take the action into real life. Says Shankle, "Being amongst others and sharing your story or healing collectively energizes body, mind, and spirit."